WHY CHOOSE ONLY FOOD & DRINK? drink and hospitality marketing and communications services. We’re an integrated communications and marketing agency serving the food, drink and hospitality sectors. Our campaigns capture the imagination of consumers, shift product and build brands. We are not just another ad agency or PR consultancy. We are marketing specialists with an intimate knowledge of the food and drink sector. Our marketing and communications pantry is brimming with all the ingredients needed to heighten brand awareness and impact sales - social media, mobile marketing, content marketing, product placement, advertising, PR, digital marketing and much more. We’re passionate about integrated food and drinks marketing because joined up communications builds brands faster and drives sales to new heights. We are the UK’s most experienced food and drink marketing agency, with more than 100 brands in our larder. Our integrated marketing teams work with the biggest retailers, the giants of the sector and the most exciting niche brands around. Retailers include Tesco, M&S, Morrisons and Iceland. Giants embrace Arla, Nestle, Kellogg’s, ADM, Unilever, Angostura and Diageo. Niche players include Chupa Chups, Warburtons, Frylight, Tennants, Edam, Dormen, Finsbury, Thorntons, Highland Spring and Innocent. In the hospitality sector we represent the biggest hotel chains in the country as well as top chefs like Marco Pierre White. Headquartered in London, we have the biggest footprint of any food and drinks marketing agency in the UK and Ireland. You’ll find us in Birmingham, Manchester, Leeds, Glasgow, Edinburgh, Belfast and Dublin. 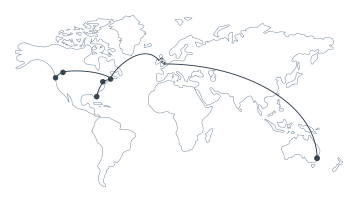 In addition, we have four offices in North America and partners in more than 40 countries around the world. It means we can deliver commercially-driven food and drinks marketing campaigns locally, nationally or internationally.